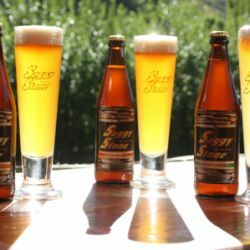 Craft Beer & Micro Brewery related culinary experiences. 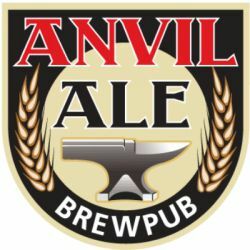 Anvil Ale House specialises in brewing German, Belgian and English style beers and these are usually ales.In an age of faceless multiple choice systems people thrive when they are able to make contact and speak to the producer of the goods. They want to be reassured that the goods are locally and honestly made resulting in a high quality product that counters the mediocrity of mass produced goods.At In Anvil Ale House we strive to brew artisanal beers in the true sense of the word. No push button “turnkey systems” are employed in the manufacture of our beers, but rather a lot of sweat and physical activity goes into the creation of our “babies”. WE KEEP A LOW PROFILE BUT DELIVER HIGH ON QUALITY. Saggy Stone started out as an idea of 2 brothers, Adrian and Phillip Robinson. Phillip had been to Australia on holiday and was impressed and inspired by the micro-brewery industry which he found nestled amongst the vineyards around Margaret River.Bringing the enthusiasm back from his holiday the 2 brothers started brewing test batches in a 20 litre cooler box on the weekends and that is how the first California Steam was born. Saggy Stone’s home is a fruit farm in the Breederiver Valley set against the Voetpadsberg mountains. To test out the market a pub was built on the farm - using river boulders and blue gum trees. It blends in beautifully with the farm and people who stop past on the weekends for lunch feel at home. The setting is ideal to enjoy pub style food as well as the handcrafted beers. The farm has a natural water supply from the mountains which is used for the production of the beer. Brewery visits are available on request.